About This Class: This class will work through the foundations of ballet training, exploring basic exercises and expanding them into the more intricate, athletic and graceful movements that make up the classical ballet repertoire. We’ll work on French terminology, standard positions, the components of port de bras and the progression of the tendu to the jete. A focus will be placed on coordinating the movements of the arms and head with the actions of the legs and feet. Alignment, fluidity, and strength will be developed in the progression from barre exercises, centre work and travelling through space and then evolving into more complex dance combinations with the goal of developing grace and agility. 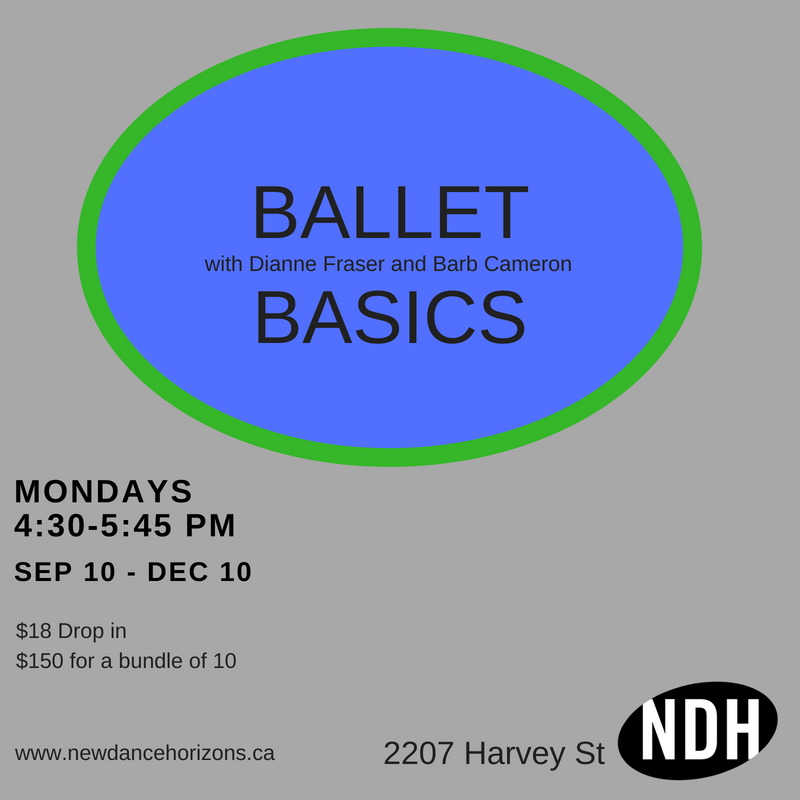 This is an introductory level class but is also open to all who want to refresh their ballet skills. Dianne Fraser developed an early interest in dance and spent much of her first three decades studying and working professionally in the dance world. She spent several years in the Professional Programs of the Royal Winnipeg Ballet and Toronto Dance Theatre before becoming a member of Sundance Repertoire Company, directed by Odette Heyn, in Winnipeg. She subsequently acted as an independent dance artist, dividing her energies between studies, choreography, performance, and teaching. In 1986 Dianne co-founded New Dance Horizons and was co-artistic director until 1991, while continuing to perform. For twelve years, she taught a variety of ages and dance styles at local facilities such as Regina Dance Works, Youth Ballet & Contemporary Dance of Sask, and Class Act Studios, in addition to teaching in Winnipeg and Toronto. Her approach to working with the body in motion has been shaped from the anatomical knowledge and hands on experience she’s gained by working as a Registered Massage Therapist for the past 30 years. Barb Cameron is a graduate of the Royal Ballet School in London, England. She emigrated to Canada when she was 20. Barb settled in Ottawa where she took her teacher training at the Ottawa Dance Centre, moving to Regina in 1980. She took further training at summer courses at the National Ballet School and Royal Winnipeg Ballet School. In Regina, she started teaching at Regina Modern Dance Works School, and later was a ballet instructor at the Conservatory of Music and Dance, the University of Regina, and run her own studio for a couple of years. In 1996, she joined The Youth Ballet of Saskatchewan where she continues to teach. She was a répétiteur for the Alberta Ballet Company’s annual production of the Nutcracker Ballet for several years, as well as for the Moscow Ballet’s production of Swan Lake. Barb has a long list of positions that she has held on artistic boards of directors, including Saskatchewan Arts Board, Dance Saskatchewan, Sask. Culture, Theatre Regina, Regina Children’s Festival, and the Regina Arts Commission among others. Barb has had the pleasure of seeing many of her former students follow careers in dance and become community leaders in other fields, and she hopes to continue to inspire many more people to experience the joy that ballet gives her.